Lynne Laski is beginning her fifth term on the Independence Board of Education. 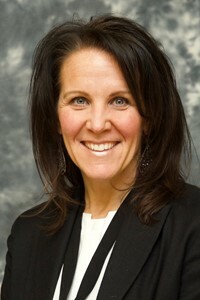 She has been involved with the school community since the middle 1980's when her children began in Hillside Preschool. 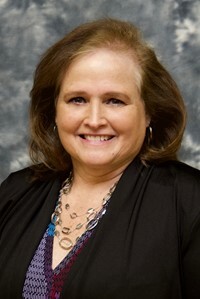 She has held leadership positions in the Preschool, as well as , in the Independence Primary PTO, Independence Middle PTO and the High School PTO before running for elected office on the Board of Education. Lynne and her husband , Bob, have lived in Independence for 34 years with their nine children. They were foster parents for Cuyahoga County Children and Family Services for about 10 years. They eventually adopted four children from the foster system. The younger four, Jake, Ali, Nick and Ryan, joined five older sisters. The older sisters are Kate, Kara, Lauren, Emily, and Michelle. All of their children attended Independence Schools. Joanie Mencl is serving her first term on Independence Board of Education. 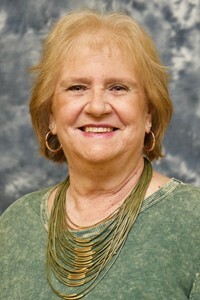 She has been a teacher for the Independence Schools for the past 38 years and is a life long resident of Independence. She graduated from Kent State University with a bachelors degree in education and a masters in the Art of Teaching from Mary Grove College. Joanie is a proud mom to daughter Lacey who is also an Indepedence Local Schools and a Kent State graduate. Lacey is attending Cleveland Marshall School of Law. Kenn is a lifelong Independence resident. He and his wife Laura have four children, who are alumni (or future alumni) of Independence High School - Dave ’13, Greg ’15, Jill ’16 and Brian ’18. Kenn is a CPA and partner in the accounting firm Zion, Synek & Associates. His practice involves assisting business owners and managers to make sense of complex information, and then use it to help grow their organization. 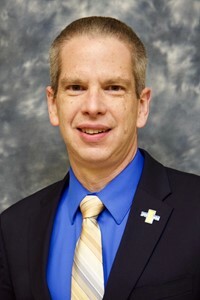 Kenn has served in leadership positions on several boards, including the: district's Citizen's Finance Cmte., Huntington’s Disease Society of NE Ohio, Cuyahoga Valley Native Sons & Daughters, and the Independence Stadium Foundation. 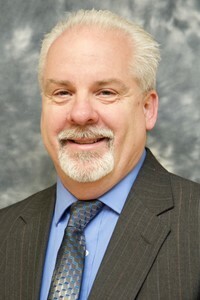 He currently serves on the district’s Finance; Tech., Ed. & Curriculum; and Buildings & Grounds Committees. Ron is serving his first term on the Independence Board of Education. He has lived in the city of Independence for the past 25 years. He is a corporate tax accountant at Applied Industrial Technologies, where he has worked for 28 years. Ron graduated from Cuyahoga Heights in 1981. He graduated from Cleveland State University in 1986, with a Bachelor of Arts degree in History/Social Studies, minoring in Political Science. He is married to Kelli (Orack), Independence class of 1985. He has four sons, Joe – Independence class of 2015, currently a junior at Mount Union; Justin – Independence class of 2017, currently a freshman at Akron University; Ryan – Independence class of 2021; and Nathan – Independence class of 2014. Ron has been actively involved in coaching soccer, basketball, and baseball for Independence Rec. League for 15 years; is involved with the Independence Stadium Foundation; an active member of the Independence Athletic Boosters; serves on the Student Life Committee; and scorekeeper for the boys soccer team. He is also a member of St. Michael's Church, and has been an acolyte for 25 years. Carrie is serving her first term on the Independence Board of Education. As a lifelong resident of Independence, she and her family are very grateful for the opportunity to live, learn, and grow in such a wonderful city and school district. Carrie and her seven siblings all attended Independence Schools and she is a proud graduate of Independence High School, Class of ‘92. Carrie went on to graduate from The Ohio State University where she obtained a Bachelors of Science in Health and Physical Education. She taught for five years in both public and private schools where she gained invaluable experience working with students and teachers and interacting with parents who care so much about the educational issues and concerns involving their children. Carrie and her husband Eric have been married almost 20 years and have six children: Sela, Braden, Grant, Keely, Anderson and Levi. They are all involved in Independence athletics and are proud to be Blue Devils. Carrie cares deeply about the students in our community and desires to use her experience and skills to positively impact those students and their families.